Embroidered pictures and panels are always popular ways to display textile art in the home. 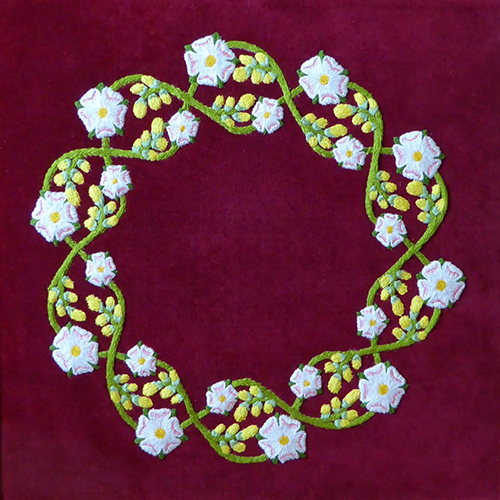 Ruth's panels are worked in various techniques, but especially surface stitchery using classic hand embroidery. As an avid reader and collector of illustrated books, it was natural for Ruth to combine her loves of books and embroidery in making bespoke slip-cases, for special gifts or as display pieces. 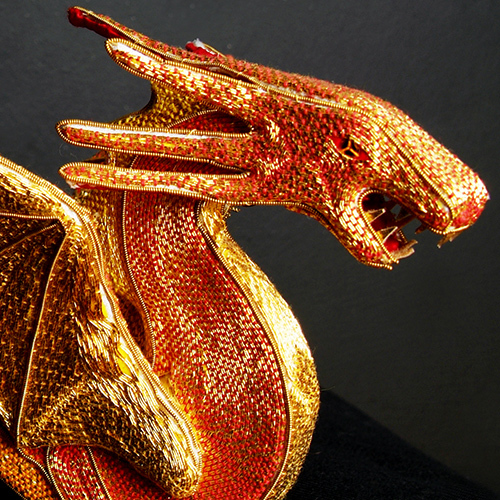 Goldwork is one of the most traditional embroidery techniques, and Ruth gives it a contemporary spin with 3D objects - a new approach for classic metal thread embroidery. 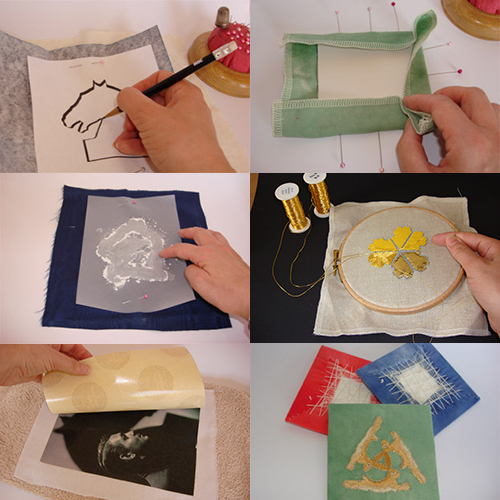 Ruth's blog has a wealth of information on hand and machine embroidery, as she documents stage by stage the process of creating her embroidered art. 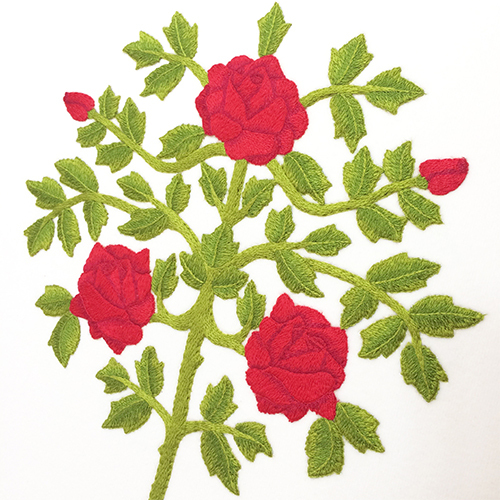 Ruth specialises in producing stunning hand-embroidered pieces, from large, bold panels to small, detailed pictures. 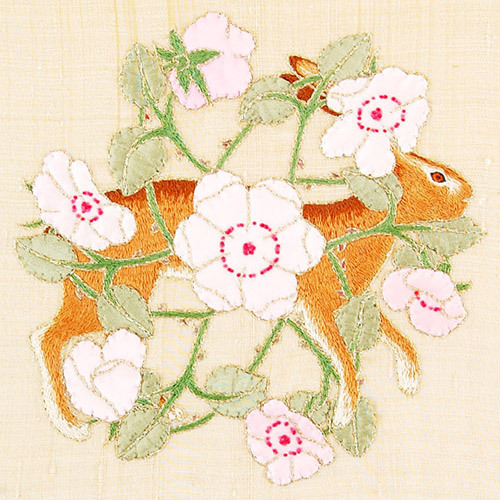 Ruth is skilled at designing for embroidery, and works from her own designs; she is happy to make individual pieces to commission and welcomes working with a client. 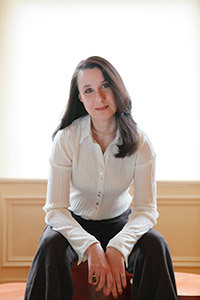 You can find out more about Ruth in her profile, or see examples of her work on the gallery pages. 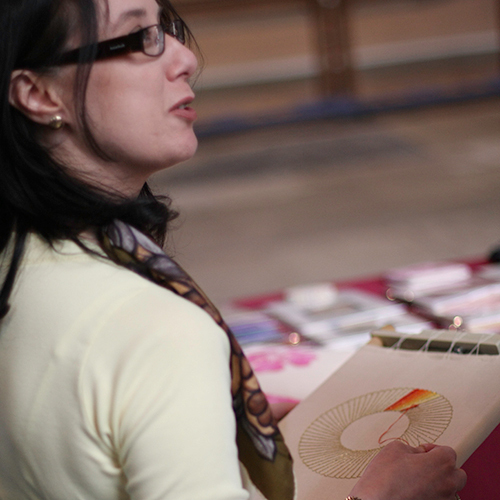 You can also find out how to commission some unique textile art, or read exclusive hints and tips articles on embroidery techniques.